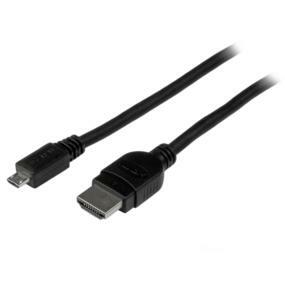 The MHDPMM3M 3m Passive Micro USB to HDMI MHL Cable lets you connect your MHL-enabled smartphone, tablet PC, or other mobile device to your MHL-enabled HDTV display, monitor, or projector. 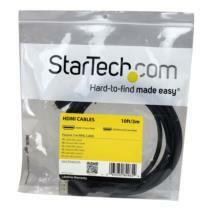 This durable cable offers a simple plug-and-play solution for viewing content (e.g. photos, audio, and video) from an MHL-enabled mobile device on a large display and home entertainment system. Delivering on both quality and convenience, this MHL to HDMI cable supports 1080p video resolution and 7.1 channel digital audio output while simultaneously charging your mobile device when in MHL mode and while connected to your MHL-enabled display. 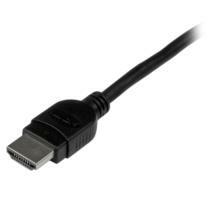 Note: As this is a passive cable, your mobile device as well as your HDTV display, monitor, or projector, etc. must be MHL-enabled. Please refer to your devices owner’s manual and/or visit the MHL consortium website for a list of MHL Enabled Products. This product will not work with devices that have an 11 pin MHL connector, such as the Samsung S3 and S4 models. **VERY IMPORTANT** Please Note: As this is a passive cable, your mobile device as well as your HDTV display, monitor, or projector, etc. must be MHL-enabled. Please refer to your devices owner's manual and/or visit the MHL consortium website for a list of MHL Enabled Products. This product will not work with devices that have an 11 pin MHL connector, such as the Samsung S3 and S4 models. Also kindly refer the User Manual before use.